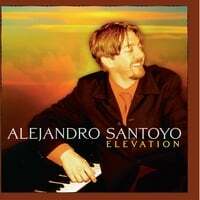 Alejandro Santoyo was born in Southbend, Indiana and has lived in the US, Europe, and Latin America. He began playing the piano by ear and composing when he was 7 years old. He eventually obtained a Masters Degree in Music Theory and Composition. Alejandro is an active performer, composer, and producer for different projects in the the US and Internationally.